Congratulations to the boys and girls whose commitment to the celebration of Sunday Eucharist was acknowledged at Masses last weekend. Servers were awarded the St. Patrick, St. Michael and St. Stephen medals according to their length of service, dedication and prayerfulness at Mass. Pictured below are some of the servers with Fr. Derek and Fr. Ciarán. 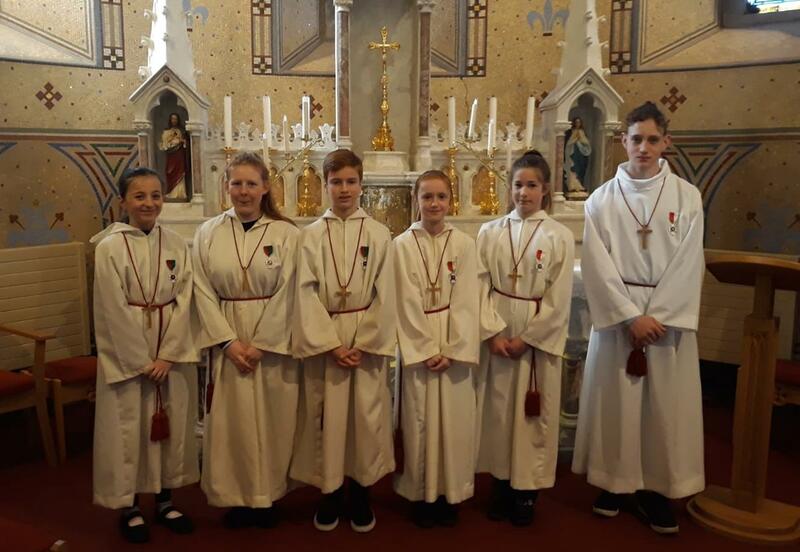 Congratulations to all the servers of our parish who received awards this weekend in recognition of their length of service, commitment, reverence, prayerfulness and good example. St. Patrick’s Medal: Mia Bruun, Philip Carragher, Zak Dennehy, Grace Heneghan, Aidan Keogh, Jakub Markievicz, Eleanor McGeever, Aimee Molloy, Kate Moss, Katie O’ Connell, Dara O’ Sullivan, Abigail Puthuppillil, Nathan Roach, Eleanor, Whelan, Emma Wilkie, Ross Wilson. 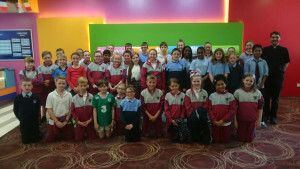 St. Michael’s Medal: Thomas Elmes, Jeules Elliott, Lukas Felten, Jamie Fennelly, David Kinahan, Conor Lawless, Kate Lawless, David Mc Carthy, Róisín Ní Thuathail, Amy Richardson, Keeva Thomas. St. Stephen’s Medal: Jake Dennehy, Hannah Lynam, Isabelle O’ Brien, Niall O’ Sullivan, Joedev Puchon. 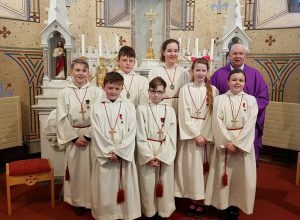 Our thanks to our Altar Server’s Team who care for and support our servers with great pastoral care and encouragement throughout the year. 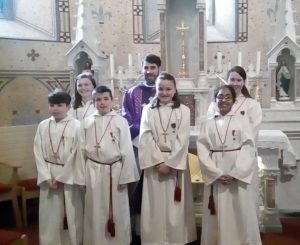 We also take this opportunity to welcome the new members who joined the Altar Server’s Team in recent weeks. Thank you to our Safeguarding Team who support the ministry of Altar Servers in our Parish. Some of our Altar Servers attended the Altar Servers’ Tour this week as a token of appreciation for their commitment to our Parish all year round. Thank you to our Altar Servers’ Team who care for, and support our servers with great pastoral care and encouragement throughout the year. Our thanks to those who coordinated the tour and the volunteers who assisted on the day with the outing. The parish welcomed 26 new Altar Servers to the Altar Serving Team in our Parish this week. Following training, they made their first appearance at Sunday Masses. We hope they will find the experience an enriching experience as they exercise their ministry among us. Thank you to their parents for supporting them in their decision to serve. 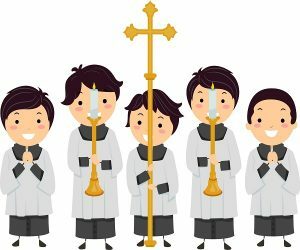 A big thank you to our existing Altar Servers who serve faithfully every week. 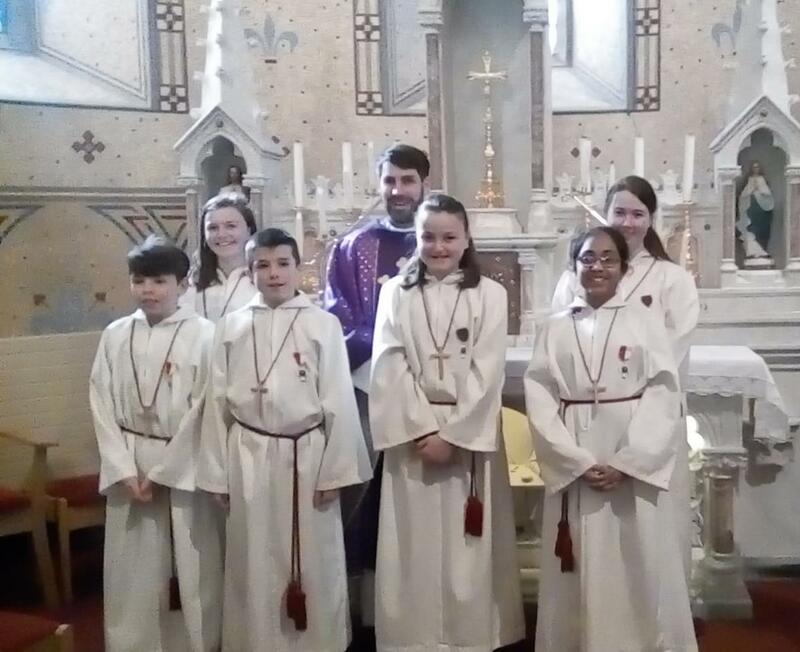 Our sincere thanks to our Altar Servers Team who coordinate the servers in our parish, and the volunteer parents and sacristans who assist with supervision. Some of our parish Altar Servers were on their annual tour this week in appreciation for their commitment throughout the year to serving at Mass. 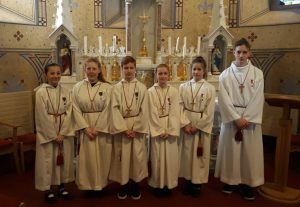 Thank you to the Altar Servers Team who look after our Servers so well throughout the year. 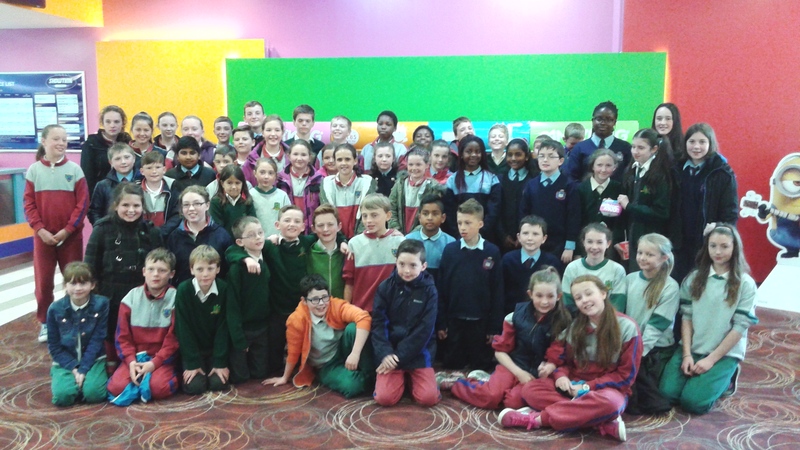 Our thanks to all the parent-volunteers who accompanied the children to the cinema earlier today. Thank you to all of the parents who generously volunteered their time to assist with this year’s Altar Server’s Tour recently. We would like to express our sincere gratitude to the Altar Server’s Team who coordinated the day and who look after the Altar Servers in our Parish throughout the year. 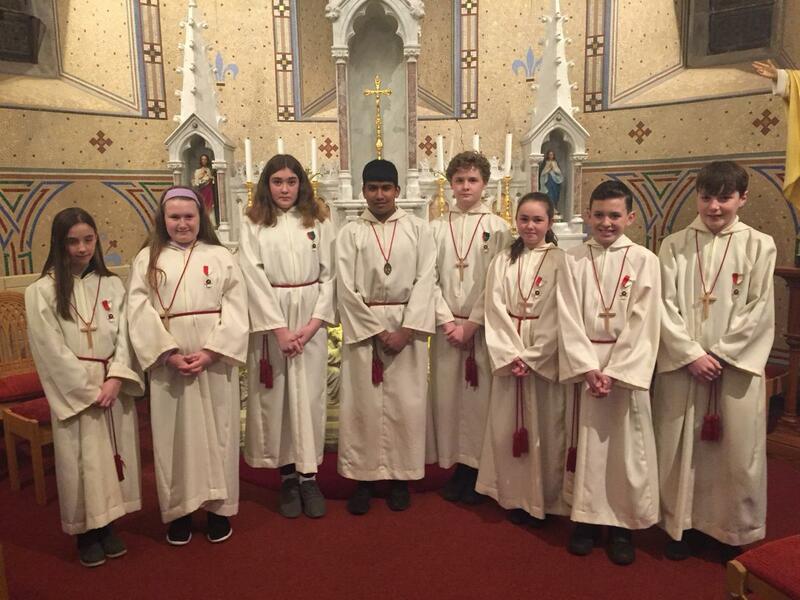 Congratulations to our parish Altar Servers who received their annual awards this weekend. Roisín Randle, Aisling Coates,Leah Gleeson, Joey O’Donnell, Jack Behan, Ella Smyth, Kacper Lipicki. Cormac Docherty, Simon Wilson, Rachel Scanlon, Maeve Smyth, Marie Heffernan, Conor Leddy, Ashitha Babu, Chloe Mullen, Jakub Urbas. 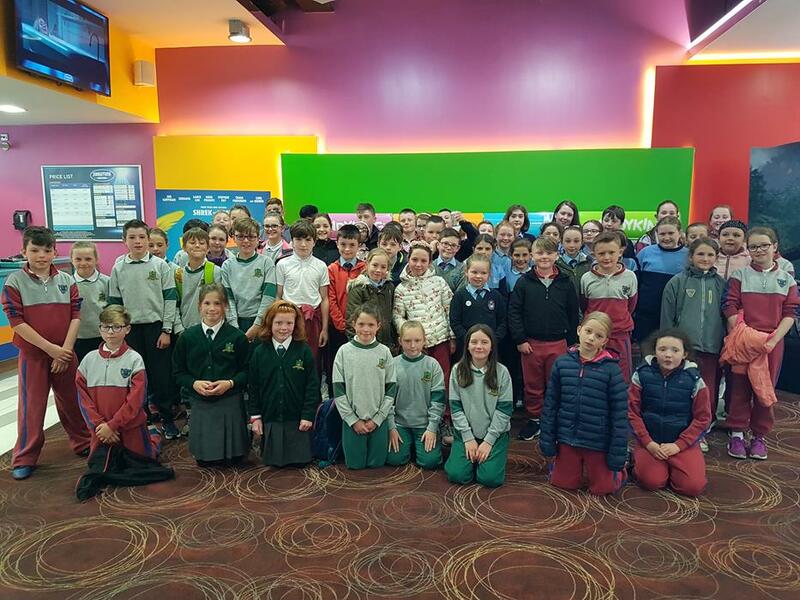 Alex Merrigan, Orla Shortt, Niamh Linanne, Deirbhle Hurley, Leah Butler, Evan Hughes, Emma Mather, Alice Jane Mc Grath, Ella Fanning, Katie Carragher,Kate Cooney, Aaron McGuirk, Leo Elliott, Benjamin O’Connell. The rota is in PDF format. Please note the Rota is in PDF format.